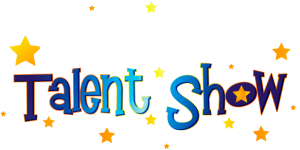 This past Friday, the intermediate school hosted a Talent Show featuring our 3rd, 4th, and 5th grade students. Several people in attendance took pictures. We would like to feature our talented students on the front bulletin board as you enter the school building, but we need your help. We will print them out and use some of them to showcase our STARS. This entry was posted in Intermediate and tagged pictures by Mrs. Cranford. Bookmark the permalink.